The 'Pearson Holland Management Services' Web Site is comprised of various Web sites and Web pages operated by Pearson Holland Management Services or its affiliates (collectively, the "Pearson Holland Management Services Web Sites"). The Pearson Holland Management Services Web Sites are offered to you conditional on your acceptance without modification of the terms, conditions, and notices contained herein. Your use of the Pearson Holland Management Services Web Sites constitutes your agreement to all such terms, conditions, and notices. In the event that any of the terms, conditions, and notices contained herein conflict with other terms and guidelines contained within any particular Pearson Holland Management Services Web Site, then these terms shall control. We require you to open an account to do so you must complete the registration process by providing us with current, complete and accurate information as prompted by the applicable registration form. You then choose a password and a user name. You are entirely responsible for maintaining the confidentiality of your password and account. Furthermore, you are entirely responsible for any and all activities that occur under your account. You agree to notify Pearson Holland Management Services Ltd immediately of any unauthorized use of your account or any other breach of security. Pearson Holland Management Services will not be liable for any loss that you may incur as a result of someone else using your password or account, either with or without your knowledge. However, you could be held liable for losses incurred by Pearson Holland Management Services or another party due to someone else using your account or password. You may not use anyone else's account at any time, without the permission of the account holder. Pearson Holland Management Services reserves the right to change the terms, conditions, and notices under which the Pearson Holland Management Services Sites/Services are offered, including but not limited to the charges associated with the use of the Pearson Holland Management Services Sites/Services. You are responsible for regularly reviewing these terms and conditions and additional terms posted on particular websites. Your continued use of the Pearson Holland Management Services Sites/Services constitutes your agreement to all such terms, conditions, and notices. Unless otherwise specified, the Pearson Holland Management Services Sites/Services are for your personal and non-commercial use. You may not modify, copy, distribute, transmit, display, perform, reproduce, publish, license, create derivative works from, transfer, or sell any information, software, products or services obtained from the Pearson Holland Management Services Sites/Services. Any dealings with third parties (including advertisers) included within the Pearson Holland Management Services Sites/Services or participation in promotions, including the delivery of and the payment for goods and services, and any other terms, conditions, warranties or representations associated with such dealings or promotions, are solely between you and the advertiser or other third party. Pearson Holland Management Services shall not be responsible or liable for any part of any such dealings or promotions. As a condition of your use of the Pearson Holland Management Services Sites/Services, you will not use the Pearson Holland Management Services Sites/Services for any purpose that is unlawful or prohibited by these terms, conditions, and notices. You may not use the Pearson Holland Management Services Sites/Services in any manner, which could damage, disable, overburden, or impair any Pearson Holland Management Services Site/Service(s) (or the network(s) connected to any Pearson Holland Management Services Site/Service(s)) or interfere with any other party's use and enjoyment of any Pearson Holland Management Services Site/Service(s). You may not attempt to gain unauthorized access to any Pearson Holland Management Services Site/Service, other accounts, computer systems or networks connected to any Pearson Holland Management Services Site/Service, through hacking, password mining or any other means. You may not obtain or attempt to obtain any materials or information through any means not intentionally made available through the Pearson Holland Management Services Sites/Services. Use, download or otherwise copy, or provide (whether or not for a fee) to a person or entity any directory of users of a Pearson Holland Management Services Site/Service(s) or other user or usage information or any portion thereof. Pearson Holland Management Services has no obligation to monitor the Communication Services. However, Pearson Holland Management Services reserves the right to review materials posted to a Communication Service and to remove any materials in its sole discretion. Pearson Holland Management Services reserves the right to terminate your access to any or all of the Communication Services at any time, without notice, for any reason whatsoever. Pearson Holland Management Services reserves the right at all times to disclose any information as Pearson Holland Management Services deems necessary to satisfy any applicable law, regulation, legal process or governmental request, or to edit, refuse to post or to remove any information or materials, in whole or in part, in Pearson Holland Management Services's sole discretion. Always use caution when giving out any personally identifying information about yourself or your children in any Communication Service. Pearson Holland Management Services does not control or endorse the content, messages or information found in any Communication Service and, therefore, Pearson Holland Management Services specifically disclaims any liability with regard to the Communication Services and any actions resulting from your participation in any Communication Service. Managers and hosts are not authorized Pearson Holland Management Services spokespersons, and their views do not necessarily reflect those of Pearson Holland Management Services. Pearson Holland Management Services does not claim ownership of the materials you provide to Pearson Holland Management Services (including feedback and suggestions) or post, upload, input or submit to any Pearson Holland Management Services Site/Service or its associated services for review by the general public (each a "Submission" and collectively "Submissions"). However, by posting, uploading, inputting, providing or submitting your Submission you are granting Pearson Holland Management Services, its affiliated companies and necessary sub licensees permission to use your Submission in connection with the operation of their Internet businesses including, without limitation, the rights to: copy, distribute, transmit, publicly display, publicly perform, reproduce, edit, translate and reformat your Submission; and to publish your name in connection with your Submission. No compensation will be paid with respect to the use of your Submission, as provided herein. Pearson Holland Management Services is under no obligation to post or use any Submission you may provide and Pearson Holland Management Services may remove any Submission at any time in its sole discretion. All content and software (if any) that is made available to view and/or download in connection with the Pearson Holland Management Services Sites/Services, excluding content and/or software that may be made available by end-users through a Communication Service ("Software") is owned by and is the copyrighted work of Pearson Holland Management Services Corporation and/or its suppliers and is protected by copyright laws and international treaty provisions. Your use of the Software is governed by the terms of the end user license agreement, if any, which accompanies or is included with the Software ("License Agreement"). You may not install or use any Software that is accompanied by or includes a License Agreement unless you first agree to the License Agreement terms. The information, software, products, and services included in or available through the Pearson Holland Management Services sites/services may include inaccuracies or typographical errors. Changes are periodically made to the Pearson Holland Management Services sites/services and to the information therein. Pearson Holland Management Services and/or its respective suppliers may make improvements and/or changes in the Pearson Holland Management Services sites/services at any time. Advice received via the Pearson Holland Management Services sites/services should not be relied upon for personal, medical, and legal or financial decisions and you should consult an appropriate professional for specific advice tailored to your situation. Pearson Holland Management Services limited and/or its respective suppliers make no representations about the suitability, reliability, availability, timeliness, lack of viruses or other harmful components and accuracy of the information, software, products, services and related graphics contained within the Pearson Holland Management Services sites/services for any purpose. All such information, software, products, services and related graphics are provided "as is" without warranty of any kind. Pearson Holland Management Services and/or its respective suppliers hereby disclaim all warranties and conditions with regard to this information, software, products, services and related graphics, including all implied warranties and conditions of merchantability, fitness for a particular purpose, workmanlike effort, title and non-infringement. You specifically agree that Pearson Holland Management Services shall not be responsible for unauthorized access to or alteration of your transmissions or data, any material or data sent or received or not sent or received, or any transactions entered into through an Pearson Holland Management Services site/service. You specifically agree that Pearson Holland Management Services is not responsible or liable for any threatening, defamatory, obscene, offensive or illegal content or conduct of any other party or any infringement of another's rights, including intellectual property rights. 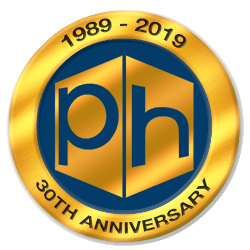 You specifically agree that Pearson Holland Management Services is not responsible for any content sent using and/or included in a Pearson Holland Management Services site/service by any third party. You agree that Pearson Holland Management Services may establish limits concerning use of any service offered on an Pearson Holland Management Services Website, including without limitation, the maximum number of days that e-mail messages will be retained by the service, the maximum number of e-mail messages that may be sent from or received by an account on the service, the maximum size of an e-mail message that may be sent from or received by an account on the service, the maximum disk space that will be allotted on Pearson Holland Management Services's servers on your behalf, and the maximum number of times and duration you may access the service in a given period of time. You agree that Pearson Holland Management Services has no responsibility or liability for the deletion, corruption or failure to store any messages or other content maintained or transmitted by the service. You acknowledge that Pearson Holland Management Services reserves the right to delete accounts that are inactive for an extended period of time. Pearson Holland Management Services Ltd makes no warranty that any service will be uninterrupted, timely, secure or error-free. Pearson Holland Management Services reserves the right, in its sole discretion, to terminate your access to any or all Pearson Holland Management Services Sites/Services and the related services or any portion thereof at any time, without notice. Pearson Holland Management Services shall have no obligation to maintain any content or to forward any unread or unsent messages to you or any third party. Pearson Holland Management Services will immediately terminate any account, which it believes, in its sole discretion, is transmitting or is otherwise connected with any Spam or other unsolicited bulk email. In addition, because damages are often difficult to quantify, if actual damages cannot be reasonably calculated then you agree to pay Pearson Holland Management Services liquidated damages of £10.00 (Sterling) for each piece of Spam or unsolicited bulk email transmitted from or otherwise connected with your account, otherwise you agree to pay Pearson Holland Management Services's actual damages, to the extent such actual damages can be reasonably calculated. The laws of the United Kingdom govern this agreement. You hereby irrevocably consent to the exclusive jurisdiction and venue of courts in United Kingdom in all disputes arising out of or relating to the use of the Pearson Holland Management Services Sites/Services. Use of the Pearson Holland Management Services Sites/Services is unauthorized in any jurisdiction that does not give effect to all provisions of these terms and conditions, including without limitation this paragraph. You agree that no joint venture, partnership, employment, or agency relationship exists between you and Pearson Holland Management Services as a result of this agreement or use of the Pearson Holland Management Services Sites/Services. You agree to indemnify and hold Pearson Holland Management Services, its parents, subsidiaries, affiliates, officers and employees, harmless from any claim, demand, or damage, including reasonable legal fees, asserted by any third party due to or arising out of your use of or conduct on the Pearson Holland Management Services Sites/Services. Pearson Holland Management Services reserves the right to disclose any personal information about you or your use of the Pearson Holland Management Services Sites/Services, including its contents, without your prior permission if Pearson Holland Management Services has a good faith belief that such action is necessary to: (1) conform to legal requirements or comply with legal process; (2) protect and defend the rights or property of Pearson Holland Management Services or its affiliated companies; (3) enforce the terms or use; or (4) act to protect the interests of its members or others. Pearson Holland Management Services's performance of this agreement is subject to existing laws and legal process, and nothing contained in this agreement is in derogation of Pearson Holland Management Services's right to comply with governmental, court and law enforcement requests or requirements relating to your use of the Pearson Holland Management Services Sites/Services or information provided to or gathered by Pearson Holland Management Services with respect to such use. If any part of this agreement is determined to be invalid or unenforceable pursuant to applicable law including, but not limited to, the warranty disclaimers and liability limitations set forth above, then the invalid or unenforceable provision will be deemed superseded by a valid, enforceable provision that most closely matches the intent of the original provision and the remainder of the agreement shall continue in effect. Unless otherwise specified herein, this agreement constitutes the entire agreement between the user and Pearson Holland Management Services with respect to the Pearson Holland Management Services Sites/Services and it supersedes all prior or contemporaneous communications and proposals, whether electronic, oral or written, between the user and Pearson Holland Management Services with respect to the Pearson Holland Management Services Sites/Services. A printed version of this agreement and of any notice given in electronic form shall be admissible in judicial or administrative proceedings based upon or relating to this agreement to the same extent and subject to the same conditions as other business documents and records originally generated and maintained in printed form. All contents of the Pearson Holland Management Services Web Sites are: Copyright of Pearson Holland Management Services and/or its suppliers, Health and Safety Click Limited, 12 Saxonville, South Benfleet, Essex, SS7 5TD. All rights reserved. Subscription-Based Content. Some contents and/or services on Pearson Holland Management Services may be offered to you conditional on your purchase of a subscription. If you elect to purchase subscription-based content/services and transmit to Pearson Holland Management Services a subscription purchase request, you warrant that all information that you submit is true and accurate (including without limitation your credit card number and expiration date), and you agree to pay all subscription fees you incur plus all applicable taxes. If you have purchased an automatically renewing subscription, you will not be charged the monthly subscription fee after three months notice of cancellataion (but there are no refunds of subscription fees previously paid). No cancellation of access to free content and/or services or to non-renewing subscriptions is required. Your subscription is personal to you and the members of your household, and you may not transfer or make available your account name and password to others, including without limitation your co-workers. Any distribution by you of your account name and password may result in cancellation of your subscription without refund and in additional charges based on unauthorized use. Pearson Holland Management Services reserves the right to charge listing fees for certain listings, as well as transaction fees based on certain completed transactions using the Services. Pearson Holland Management Services further reserves the right to alter any and all fees from time to time, without notice.